The health and safety of our employees, the public and our fellow contractors through the execution of our duties under the CDM Regulations 2015 is our top priority. 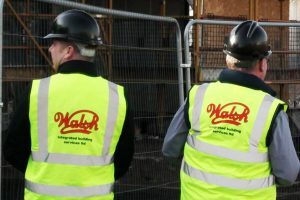 Walsh IBS are commited to working for clients and main contractors who require us to achieve excellence in all matters regarding health and safety. Walsh IBS strives to produce a climate which promotes staff commitment to health and safety and emphasises that deviation from our safety goals at whatever level is not acceptable. We are committed to providing a safe and healthy environment by delivering high quality professional services to our clients and taking proactive measures to ensure the safe execution of all work undertaken. We require high standards of health and safety from our employees and contractors and are committed to monitoring our achievements and delivering a continually improving performance. The prevention of all accidents involving personal injury or property damage is essential to the culture and operation of all Walsh IBS activities.